On a lovely warm afternoon in San Francisco this past Monday, Southern Wine & Spirits and their subsidiary company American Wine & Spirits held their annual “A Taste of the Best” event at the Hyatt Regency Embarcadero Hotel. Below are my top red wine picks from the event. Cost per bottle is based on the retail price at each winery. In the English dictionary, the noun Fog-Dog means “A bright or clear spot that appears in breaking fog.” Working on this premise, this new gem from Joseph Phelps Winery is made with fruit from the prime cool climate areas in the Sonoma Coast appellation where the fog makes a daily break. In my opinion, the 2012 vintage is bigger and more gracious than the 2011 with fond aromas of dark fruit, rose petals and subtle spice. On the palate, the wine opens up with lavish flavors of black raspberry, dark cherry, cola, baking spices and racy acidity. Oh so satisfying! SawyerSomm’s tasty pairing:Grilled salmon served with sunchoke hash, spinach, sundried tomatoes and gourmet mushrooms. Following the celebrations of the 30-year anniversary of the Willamette Valley appellation and the 20-year anniversary of Archery Summit Winery in 2013, this new release is young, vibrant and very age-worthy. The blend or cuvée of premium Pinot Noir grapes are from the six cherished vineyards that Archery Summit has worked with for years: Arcus Estate, Archery Summit Estate, Red Hills Estate, Looney Vineyard and Renegade Ridge Estate. With attractive earthy-berry aromas and deep flavors of briary blackberry, cherry, licorice, cinnamon, mocha, forest floor and a rich, silky texture, it’s easy to love this wine. Plus, it’s a great value from Willamette Valley at under $50 per bottle. SawyerSomm’s tasty pairing:Pork Tenderloin stuffed with compote of cherries and plums. 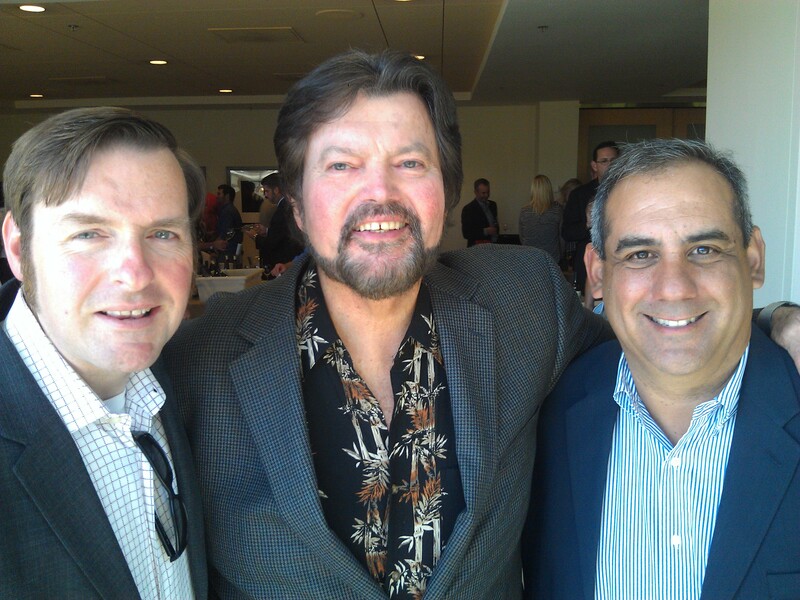 Live and personable: Sawyer with Winemaker Ed Sbragia of Sbragia Family Winery and Chris Magrigal of Madrigal Family Winery. Located between St. Helena and Calistoga in Napa Valley, talented vineyard manager Chris Madrigal and his family established the Madrigal Family Winery in 1995. Today, with the help of legendary winemaker Ed Sbragia (see below), Chris makes a wide range of tasty limited release wines. Of the current releases, one of my favorites is the Madrigal 2010 Zinfandel, a zesty wine with dynamic notes of wild strawberry jam, black cherry, dark chocolate, clove and fresh ground pepper. Not too jammy; so it’s a great wine to sip by itself or serve with spicy cuisine. SawyerSomm’s tasty pairing: Baby Back Ribs with tangy BBQ sauce. 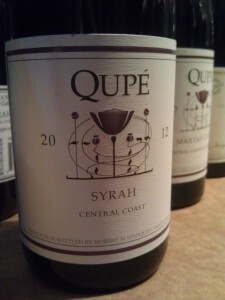 For the money, it’s hard to beat this amazing new release of Syrah crafted by Rhone Ranger’s legend Bob Lindquist. Highlights include enchanting aromas with notes of berries, flowers and citrus and fresh flavors of ripe red berries, boysenberry, mineral, earth, white pepper, cardamom, ocean mist and lovely texture. 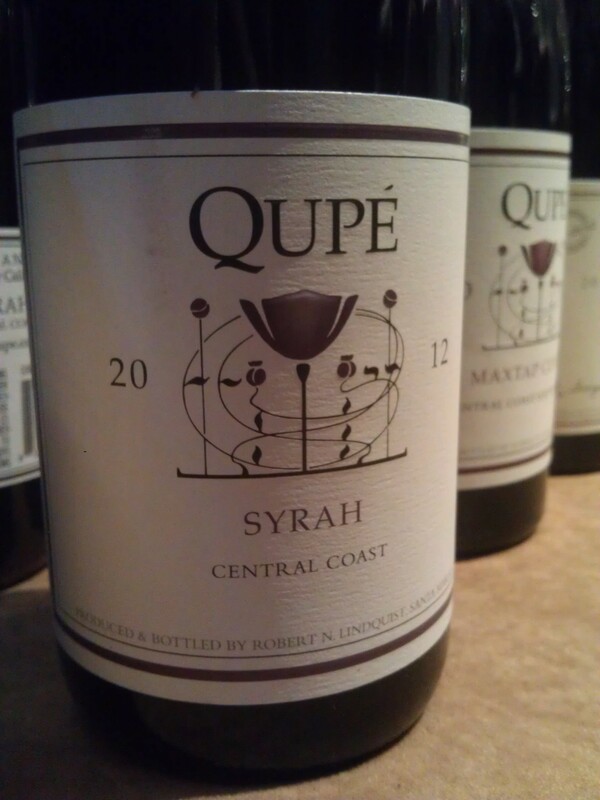 One of the best values in the marketplace, the Qupe 2012 Central Coast Syrah. SawyerSomm’s tasty pairing: Roasted Duck or Cypress Grove’s Purple Haze (Artisan Cheesemaker Mary Keehn’s fabulous offering of fresh Goat Cheese infused with lavender and fennel pollen buds). From the land down under, comes the new release of Penfold’s affordable version of baby Grange. Fragrant aromas of ripe red berries, fresh lavender and lambs ear flowers. On the palate, concentrated flavors of blackberry, blueberry, savory spices and long, smooth finish. Ace! (“Excellent!” in Australian slang). SawyerSomm’s tasty pairing: Lamb Sliders with caramelized onions and blue cheese. After more than thirty years of working as head winemaker at Beringer Vineyards in Napa Valley, in 2006 Ed Sbragia returned to his childhood roots in Sonoma County to start his eponymous winery with son Adam in Dry Creek Valley. From the family’s Reserve wine collection, this Cabernet Sauvignon is made with world–class fruit from Monte Rosso Vineyard, a historic site near the top of the new Moon Mountain appellation overlooking Sonoma Valley in southern Sonoma County. Classic hillside aromas of dark berries, fresh tobacco, leather, roasted espresso beans, earth, mineral and wild sage. Elegant flavors of ripe blueberry, briary blackberry, huckleberry, cola, clove, pepper, and savory herbs. 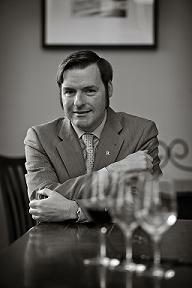 SawyerSomm’s tasty pairing: Think hearty.Think hillside. Think Wild boar ragu made with sage, fresh picked vegetables, and served with wild mushroom risotto. Yum! 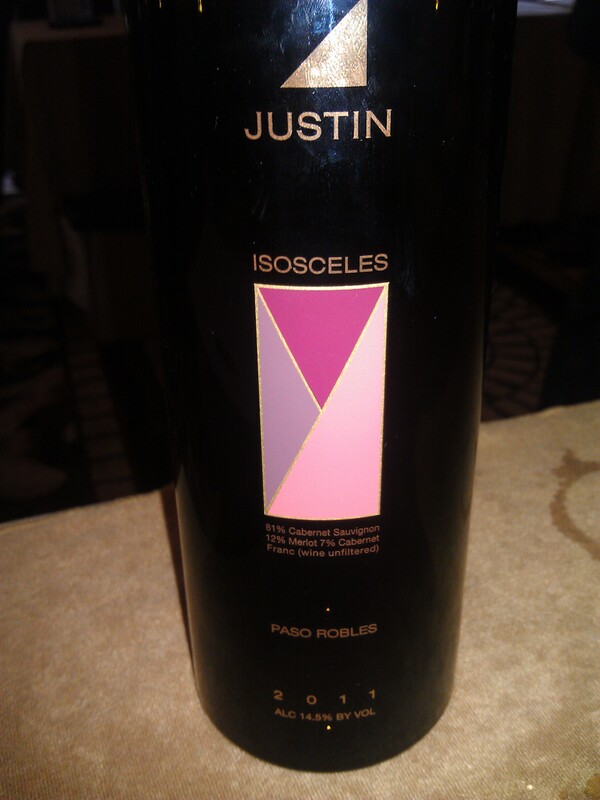 Right Bank meets California: The 25-year anniversary release of the Justin 2011 Isosceles Bordeaux-style blend from Paso Robles. 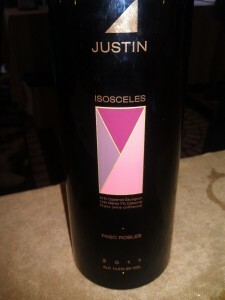 Commemorating the 25th Anniversary of one of California’s most iconic wines; the brilliant new release of the Justin 2011 Isosceles is a deep Bordeaux-style blend of 81% Cabernet Sauvignon, 12% Merlot and 7% Cabernet Franc. Elegant and sophisticated, the wine opens up with lofty aromas of ripe red berries, licorice, vanilla, and cedar box. Then, with each sip, the flavors become more expansive with deep notes of dark cherry, black raspberry, roasted walnut and baking spices; velvety texture; bright acidity; and a long, rewarding finish. Distinct, refined, and ultimately delicious! SawyerSomm’s tasty pairing: An ideal wine to pair with grilled Hanger Steak with garlic cream sauce, or an artisan selection of hard cheeses served at the end of the meal.